As a follow up to “5 Strangest Allergies Ever,” here are five more baffling allergies in the medical world. If you feel nauseous, develop a headache and rashes, and get a stuffy nose after eating red meat, then you may have a rare type of meat allergy. According to the American College of Allergy, Asthma, and Immunology, a bite from the Amblyomma Americanum, better known as the lone star tick, can cause people to develop a rare allergy to red meat from mammals such as beef, pork, lamb, and sometimes poultry. The lone star tick is found in wooded areas in the US, predominantly from Texas to Iowa. In some extreme cases, the allergic reaction leads to anaphylactic shock. It’s not the computer per se that some people are allergic to; it’s the emission from the parts. The plastic components and flame-retardants used in most computer monitors can trigger allergic reactions. The flame-retardants contain a chemical called triphenyl phosphate that can cause headaches, itchy skin, and nasal congestion, especially when the computer monitor starts to heat up. 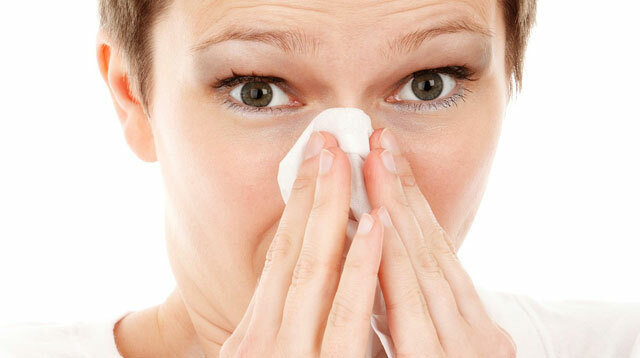 ABC Health reports that these allergens burn off in time, so if you are experiencing this type of allergy, it’s best to stick to old computer monitors or wear a protective face mask while the monitor is still new.